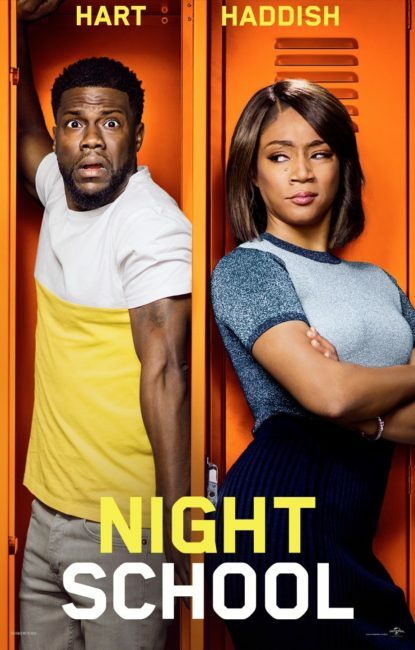 NIGHT SCHOOL stars the breakout star from Girl’s Trip, Tiffany Haddish, along with one of America’s most popular comedians, Kevin Hart. For most of you, we don’t need to tell you any more about this movie, these two folks are just that likable. For the rest, this comedy promises to be a great kickoff to fall with plenty of laughs in store. We have a sneak peek screening available this Thursday night with regular screenings starting this Friday. FAHRENHEIT 11/9, WHITE BOY RICK, BLACKkKLANSMAN, and MANDY all remain in our lineup for another week as the latter film takes it’s place as an instant cult classic. Mandy has been described by one of our guests as “My new Star Wars” due to the amount of times he has now seen it in theaters. Catch this one in theaters while you still can. In upcoming film news we have advance tickets available online for A STAR IS BORN. We know you love Lady Gaga, you don’t have to front. We also are opening our doors for THE HATE U GIVE opening on October 19th. If you are a teacher or administrator looking to put together a field trip for this movie, do not hesitate to email us at MGMT@TheBroadTheater.com. We have a variety of packages available for schools of all sizes. If you grew up on cable like we did, then Mystery Science Theater 3000 has a warm Manos-sized place in your heart. We are happy to report in that case that THE MADS ARE BACK! for another installment in their live-riffing series. Join Frank Conniff and Trace Beaulieu as they take on two different movies over two nights with a meet-and-greet and autograph signing taking place after each show. 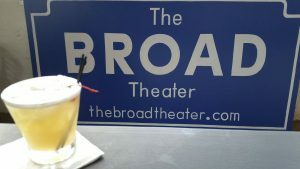 Tickets for the October 16th and 17th shows are available now on our website. BYOB(aby) will be showing WHITE BOY RICK this week. This infant-friendly show will be on Thursday at 11 AM and will feature sushi from Asuka available for pre-order on our website. With the lights turned up and the sound turned down it is a perfect way to bring your baby to the cinema in a stress-free environment.